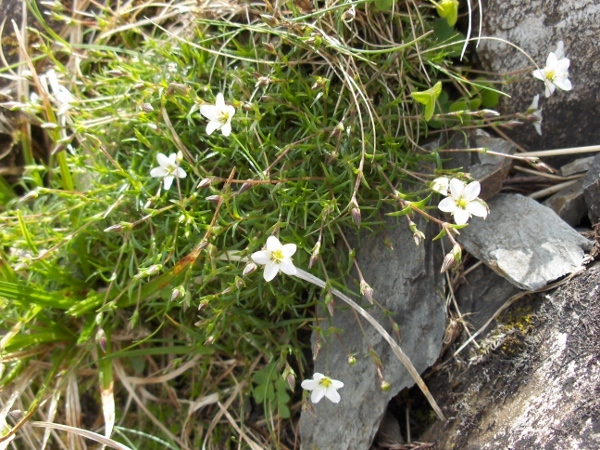 Minuartia verna is a chiefly Alpine species found in lime-rich uplands, particularly in northern England and North Wales. 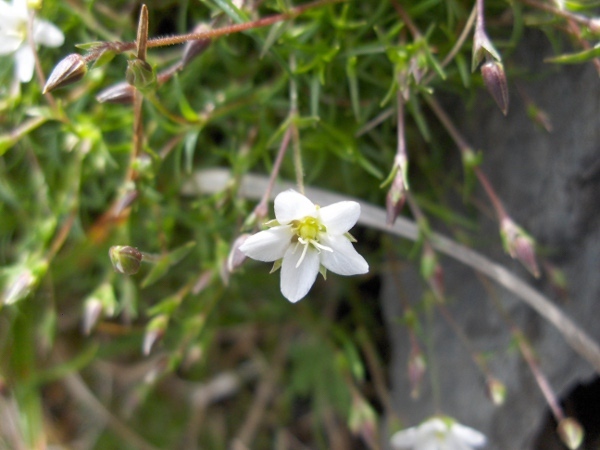 Minuartia verna “var. 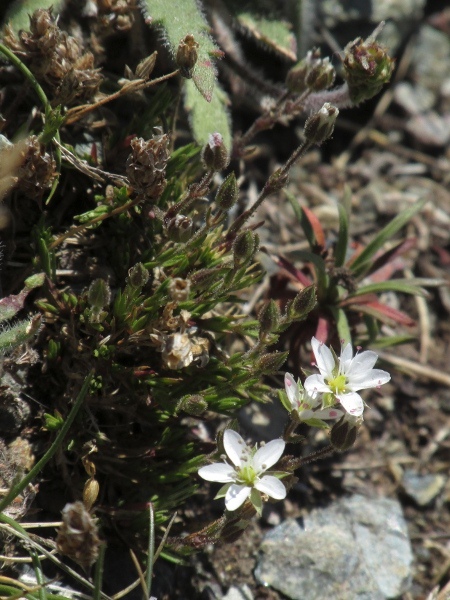 gerardii”, a dwarfed form found on the Lizard.